When my wife learned that I was going to a one-day Greyhound Health and Wellness Conference at Ohio State University she asked if I really needed to go and what benefit I thought I would get out of it. On the day I returned, I knew she would not like my response. However, as time passed, I did find that it was truly worthwhile because I discovered that even though OSU is an acclaimed university, filled with experienced vets, we at NGAP know so much more and have it figured out so much better! I cannot say I left the conference with nothing. I certainly learned a little more about cancer and survival rates. To summarize statements made by the good Dr. Guillermor Couto, 60% of all greyhounds will develop Osteosarcoma. Of those greyhounds that receive amputations, 50% will die within 2-4 months. 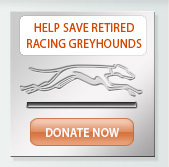 If the greyhounds undergo chemotherapy, 50% will die within 10 months. Of course, that also means that 50% will live longer than that. 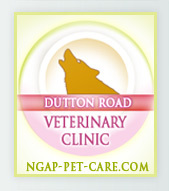 If your dog needs chemotherapy and you cannot afford it, Dr. Couto can help you get it for free. Keep in mind that some dogs will not accept it well. We must always remember that Ohio State University is a research facility. They want to do amputations so that they can learn more. At the end of the conference, Dr. Couto heard my pronouncement that literally every greyhound that comes to our clinic that is over 8-years-old and limping has Osteosarcoma. Even my own vets will not say that, but they are not keeping the numbers - I am. At the time of the conference, I neglected to mention the fact that a limping greyhound might also be suffering from corns, so I think it only appropriate that I mention it now. Ohio State University has a wonderful blood donor program. More than half of the people that attended the Health & Wellness Program, probably at least 100 individuals, were volunteers whose greyhounds donated blood to Dr. Couto's program. They were a formidable cheerleading squad. I carefully reviewed the list of accomplishments from the Greyhound Health and Wellness Program and I certainly do not wish to diminish it in any way, but years before Dr. Couto's heart murmur study, I knew that most greyhounds had heart murmurs and it hardly ever impacted their quality of life. Thanks to Dr. Couto, I now know WHY they have heart murmurs, and although it still doesn't alter their quality of life, it does give some validity to my prior thoughts. I listened to the full lecture regarding anesthesia and analgesia. 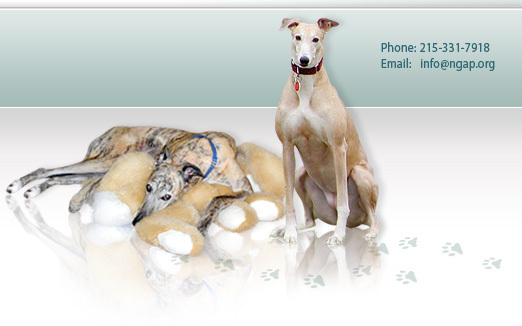 In most cases greyhounds were pre-anesthetized with acepromazine. I have heard of many situations in which greyhounds have died because veterinarians used too much acepromazine. You definitely won't find it in NGAP's medicine cabinet. Many vets will induce sleep with propaflow before they intubate. We, by choice, used Domitor, now Dexdomitor and have also added Turbalgesic to the mix. This combination induces a deeper sleep and reduces our costs since Dexdomitor is now getting so expensive. There has always been a concern in the veterinary community regarding the use of Dexdomitor because is substantially reduces the heart rate. NGAP has used over 600 bottles since it was first introduced, which would equate to between 6000-9000 uses. We have not yet lost a patient. Almost nothing was said at the conference about the use of Antesedan, which is the reversal medicine used to wake the dogs up. We use Dexdomitor/Antesedan even for leg amputations and lengthy surgeries because it gives us the ability to wake the dog up quickly. This increases the heart rate, the blood flow and the body temperature. There was considerable discussion regarding hypothermia where the dogs temperature drops too low. The only times we have issues with hypothermia are during very lengthy surgeries, usually over two hours, such as with a leg amputation. In the few cases we have seen, we have found that the best thing to use is a heating pad. Efficent veterinarians should be able to do a neuter/spay and full dental work in a half hour, and then the concern is not hypothermia, but malignant hyperthermia, or elevated temperatures. For years, after every neuter or spay, which always included a full dental, we would cover the dog with a towel soaked in ice water as it woke up. Someone just recently suggested that this would cause the dog to go into shock - not true! They wake up quite easily. You cannot go to a session with Dr. Couto and not hear about greyhounds and bleeding. In another section of our website we have discussed this Dr. Couto's experiences at length. In his lectures, Dr. Couto states that 26% of greyhounds have excessive bleeding within 36 hours of surgery. Our own long-term percentage rate at NGAP is something like .004 percent. This percentage is based on 15 years of surgery on more greyhounds than Ohio State University will see in the next 15 years! Our greyhounds just do not bleed and we believe this is due to the skill of our veterinarians and our consideration of some other key factors. Last but not least, an explanation of what I thought was missing. For a conference dealing with the health and wellness of greyhounds, the most important impactible health issue that greyhounds have, which is of course their mouth, was only mentioned when I brought up the subject. I must say that everyone from OSU was very defensive about this issue. I was looking for a statement like, 'We have a very aggressive dental program, but we don't collect teeth'. Instead, I got a statement similar to that of the Animal Medical Center when I visited them in 2004. The Animal Medical Center said they cleaned their blood donors teeth 'as needed'. Every one of their greyhounds had periodontal disease, they just weren't paying attention.